This question is often passed around the offices of Endurance, leading to some truly scorching debates. 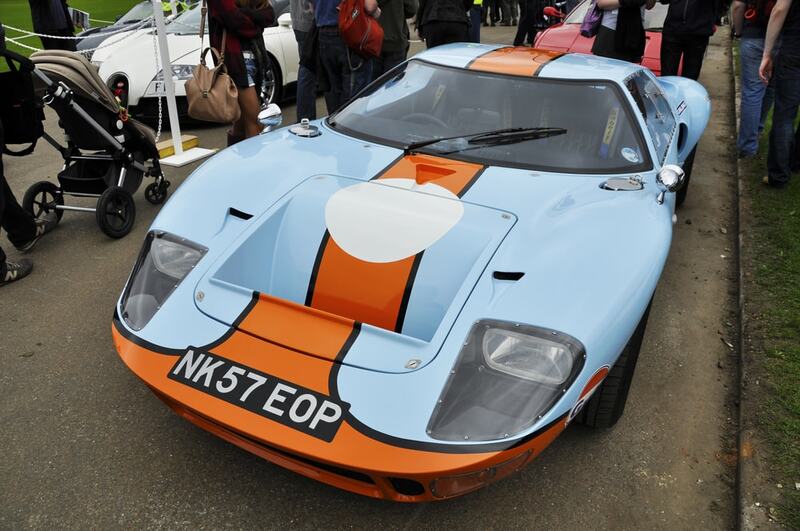 However, one answer stands out above so many: the Ford GT40. It makes sense right? After all the history of the GT40 is itself uniquely American. It has a British heritage and was re-engineered with American engineering ideals. The history of the GT40 has more in common with the story of America than any Jeep, Mustang, Camaro, or Corvette, even though they’re all American automotive icons. Let’s wind the clocks back to the 1960s: Ford was set to buy Ferrari when Enzo Ferrari canceled the deal at the 11th hour. If the deal had gone through Ford would have had control of Ferrari’s racing program. Henry Ford II took this almost as a personal slight. In fact he spearheaded an entire motorsport push to compete with Ferrari. This included that era’s who’s who of drivers, engineers, and project leader…all to design a car that would outrace any Ferrari of the time. Look at the names involved: Carroll Shelby, Bruce McLaren, Ken Miles, and Dan Gurney. It’s a list of men from all over the world being united for the sake of a single American’s wish. And by 1966, it was made a reality. Like America, the GT40 has deep roots with the Brits. This is from when Ford embarked on a quest to beat Enzo at his own game, they needed the resources to design a competent car to jump-start the Ford racing program rather quickly. Thanks to Lola, a British racing team, they were able to cook up begun work on a promising solution Ford contracted with Lola engineers and by the spring of 1964, the Ford GT40 was born: a British race car with an all-American V8 heart. So no, this was not on par with the founding fathers arguing against taxation without representation and for inalienable human rights. And yet the GT40, fighting an uphill battle in foreign lands against the big winner was definitely the David to Ferrari’s Goliath. 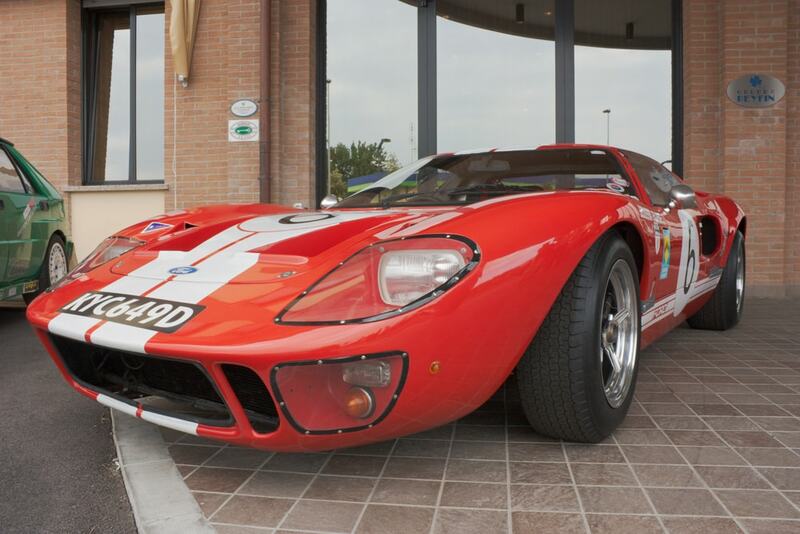 The GT40 is the melding of business and passion. Later, the Daytonas won the 1965 class championship. This was a major achievement as it was the first for an American team. Meanwhile Ferrari concentrated on engineering and designing ultra-fast, spaceship-like, prototype-class race cars, since a true battle with the GT40s was looming. Like a sports drama, the still-young American team was struggling to get the results they wanted even amidst successes. The GT40 was more than a British car with the heart of an American. 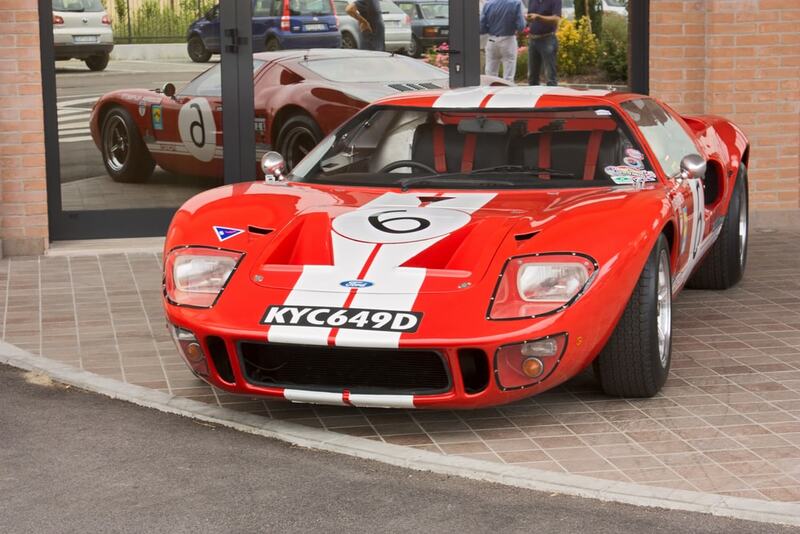 Professional drivers from all over the world took behind the wheel of a total of eight GT40s. Ultimately it was our friends from New Zealand, the duo of Bruce McLaren and Formula One driver Chris Amon. The duo took the checkered flag in ’66. 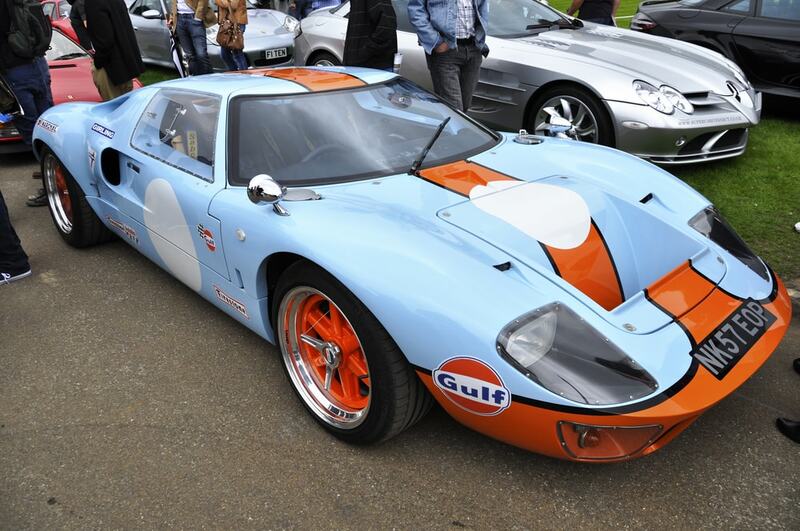 Ultimately the GT40 saw notable wins from drivers from Belgium to Mexico and more. The 60s was also a major part of the Cold War. As such the US and Russia began competing with regards to well…everything. It was during this time where the US engineered things like the SR-71 Blackbird, notable for developing new means of stability at ever-faster speeds. This prompted Ford send the GT40 team into a military wind tunnel designed for testing missile designs. That led to the GT40 becoming the first car to top 200mph along the seriously long Mulsanne Straight at Le Mans. Soon the GT40 grew up and became the monstrously fast GT40 Mk IV.The project was based the US so that Ford could prove it could develop its own designs. They did not need to fall back to their elder British siblings’ help. 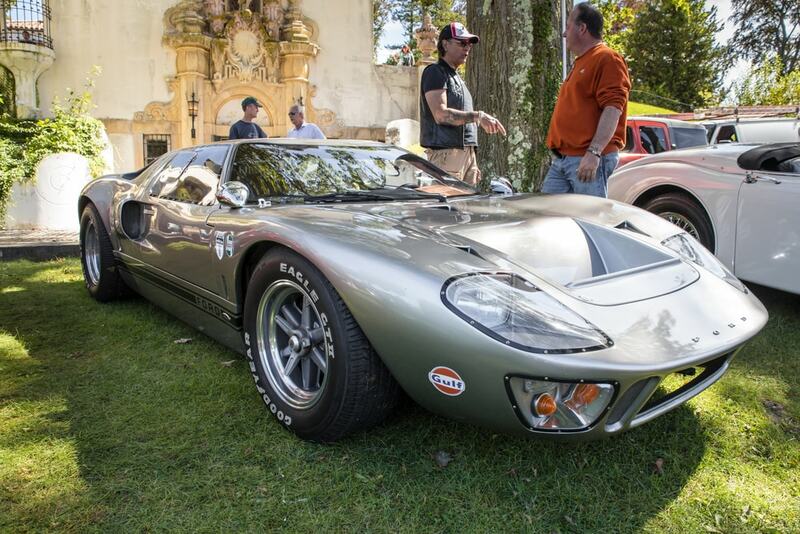 The original GT40’s was born from an American car company striving to prove a point. Later, its aerodynamic advancements set the course for future generations of vehicles. Eventually Ford revived the GT for a second generation in 2005. It was there that Ford’s engineers worked on new ways of using aluminum body panels to save weight. That innovation is now found on current model F-150 pickup trucks as a means of improving fuel efficiency. In 2017, the latest Ford GT has many big and small enhancements and touches. They utilize cellphone-like glass and also incorporate new structural supports on the side for both aerodynamic and cooling purposes. For decades following its conception in the 60s to winning the 24 hours at Le Mans consistently ever since, the Ford GT40 is a testament to the ingenuity and never give up pioneering spirit of American automotive engineering. And that’s what makes it the pinnacle of American cars.